If I said it once I must have said it a hundred times. I love a piece of music that holds an emotional story. So it is only natural that, upon hearing Mark Wills' song “Don't Laugh At Me”, I fell under the spell of this number. As writer and performer of this piece, Mark did a fantastic job of getting the story to touch a nerve and that is what it takes to make a song stand out from the crowd. 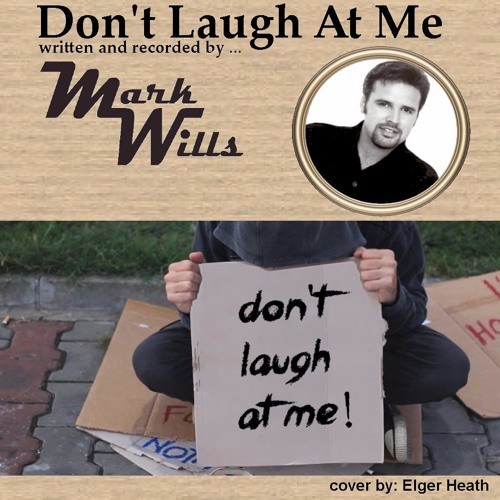 You really should do yourself a favor and check out Mark's original recording of this tune but for now, Take a moment to listen to this basic cover of “Don't Laugh At Me”.